Summer is approaching fast … I think it’s time for our first giveaway – and a truly awesome giveaway it is. In honor of the International Children’s Day (June 1st) I will randomly select one lucky person who will receive these super stylish vintage sunglasses by MOD vintage from the Netherlands (yes, they came all the way from Europe!!). They are exactly what you would call über cool and much more. The color is aqua (couldn’t be better) and the shape is everything! Don’t get too excited, they are not for you – these are junior sunglasses so if you have a fashion-forward child in your household, feel free to enter. 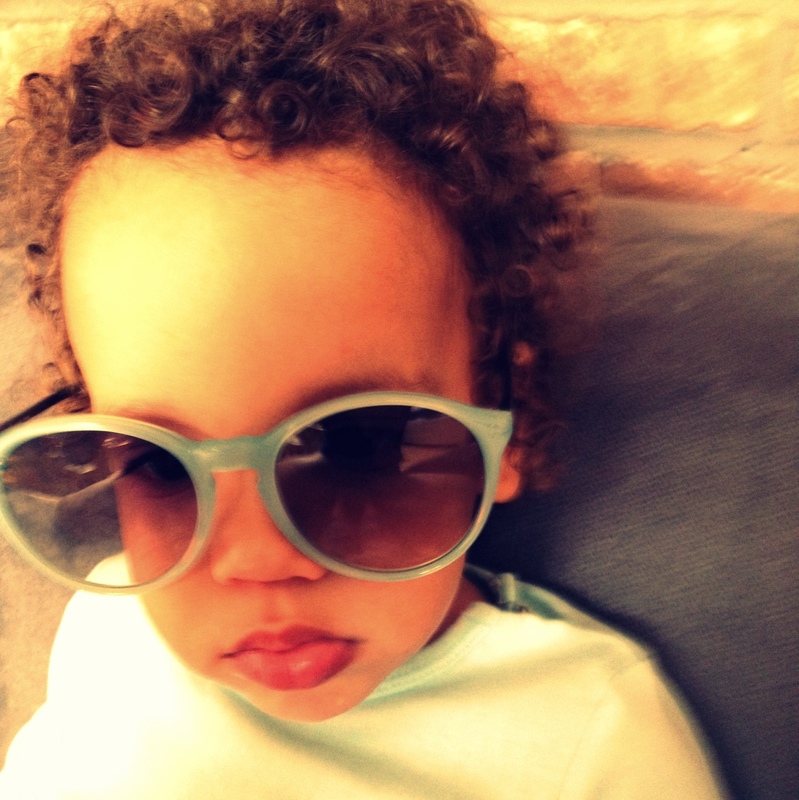 Below is Kam modeling the junior sunglasses – he’s 21 months old so they are big for him but at least it gives you an idea of the size versus the head (they should fit anyone from a bigger pre-schooler to a tween). I bet you can already hear the ohh’s and ahh’s and OMG’s when you take your fashionable little one out this summer. In fact, they are so irresistible I had to get an adult-sized pair for myself. Oh, and did I mention they are so hot they made it to the front page on Etsy (it’s kind of a big deal to Etsians). 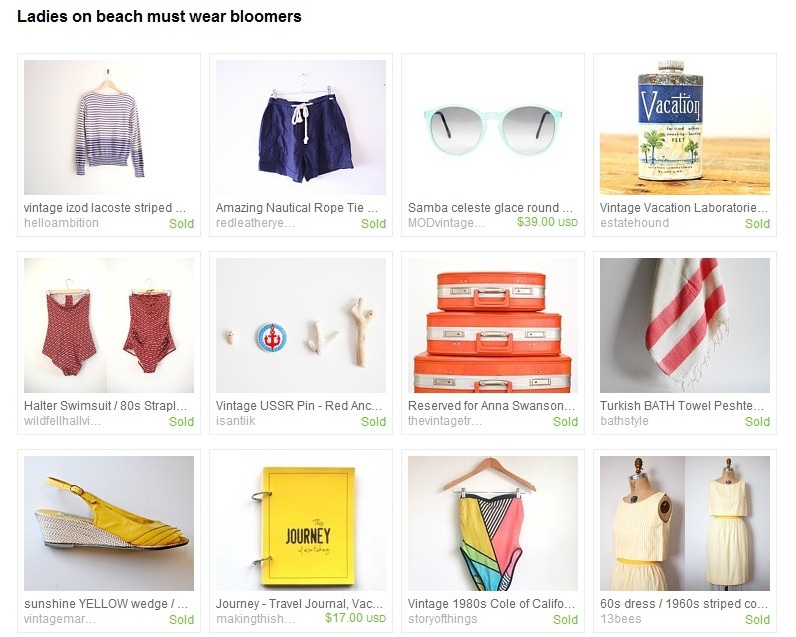 Check out the featured page below (treasury name: Ladies on beach must wear bloomers). Made in Spain by INDO optical. They are vintage, but never used and in excellent condition (new-old stock). Value: $46 (including shipping from the Netherlands) – but you can save your $46 (thanks to the wonderful MOD vintage) and have them for free – see instructions on how to enter below. There are 3 easy steps to successfully enter for this giveaway. Trust me, the shades are totally worth the 3 clicks. 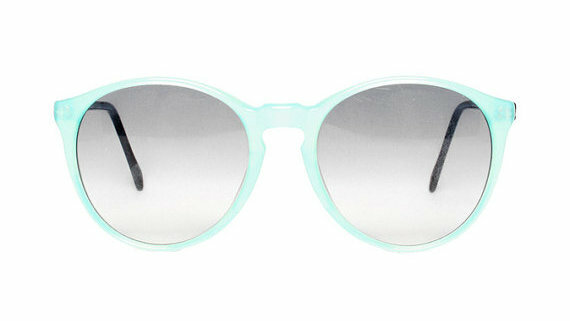 3) Visit MOD vintage shop on Etsy and comment on this blog post below letting us know which glasses are your favorite. You must reside in the United States and enter by the end of this month, May 31st 2012, 12:00 midnight EST. The winner will be randomly selected on the International Children’s Day, Friday, June 1st 2012. 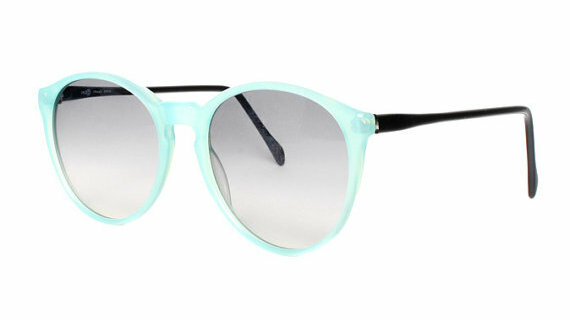 Hi V…me and sierra love theses Salsa Fragola Vintage Sunglasses… They are” totally Hott” according to sierra..lol.. Love the blog. Thanks, Joyce and Sierra! The Salsa Fragola really are totally hot! Thanks Colleen 🙂 Yet another vote for Salsa Fragola – wow! Thanks, Kitty Baby Love 🙂 The Butterfly sunglasses are awesome! LOVE the Paco Rabanne pink sunglasses!! They are fantastic!!!! Thanks Jessica! They are awesome!